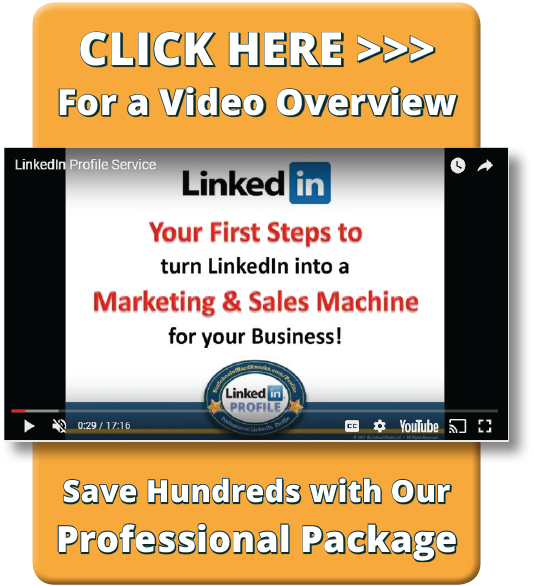 This comprehensive 90 page book will teach you, step-by-step, how to "Turn LinkedIn Into a Marketing and Sales Machine for Your Business". Harness the Power of over 476 MILLION LinkedIn users by utilizing my step-by-step system to effectively Market your Business on LinkedIn. ​we will help craft these important elements, so your LinkedIn Profile page will be set-up to be a Marketing and Sales Machine for Your Business. Click the image below to watch the Video and see how our Media Citation Service get's YOU Cited (quoted) on ABC, NBC, CBS and FOX. make you ​an Expert Authority in your Industry!